How genius is this set. Super Simple but covers all the basis. This is a cute new stamp company with it's first stamp set. You have to get one just for yourself. I just received mine today so of course I had to try it out. The stamp quality is pretty good. I got a nice even imprint even being in a hurry. 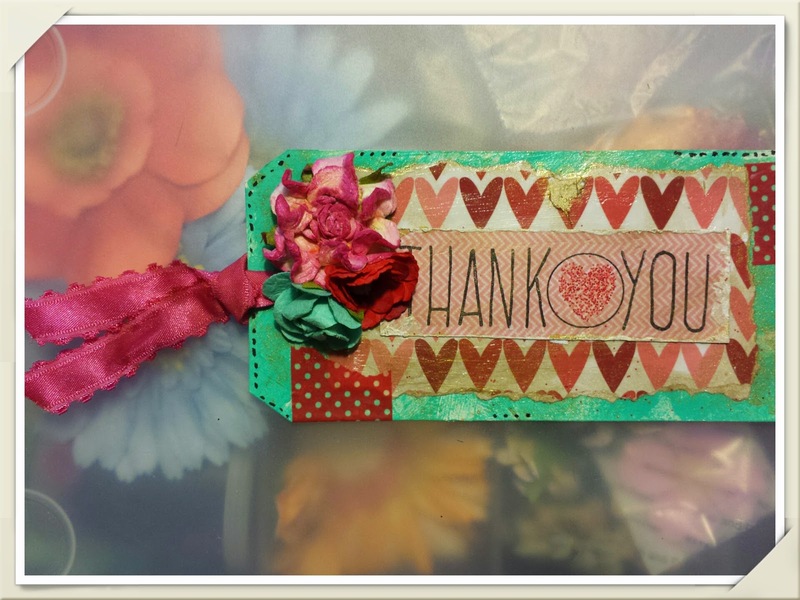 So here is my little Thank You tag I made using the New Brutus Monroe- Many Thanks Stamp Set. Michaels Open House and New Classes!